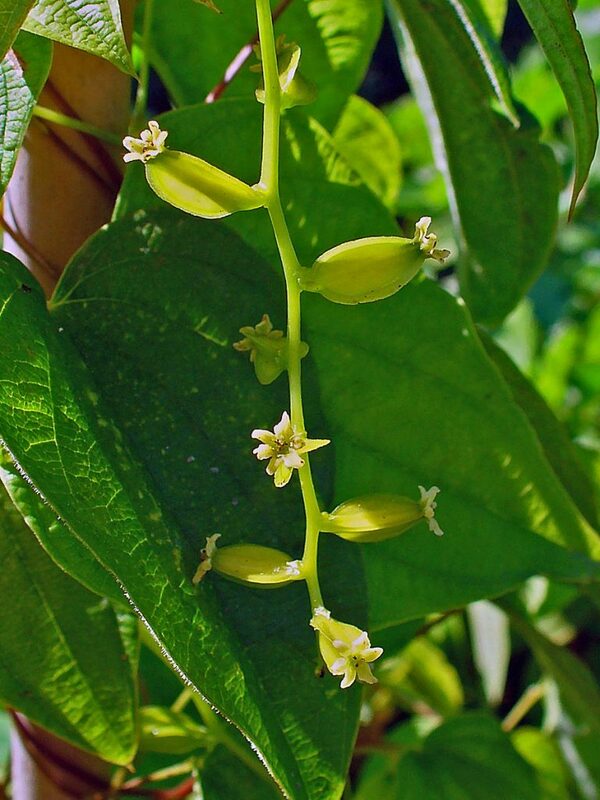 Dioscorea villosa is a dioecious perennial monocotyledon vine, colonial from slender rhizomes, stem slender, twining counterclockwise to 5 m long. Leaves alternate, (the lowermost sometimes whorled), stalk 2-7 cm long, blade heart-shaped, 5-10 cm long, tip long-pointed, base lobed, dull green above, often hairy below, major veins 7-11, palmate, secondary veins netted, finely hairy on veins below, margin entire. Dioscorea villosa male flowers. By Steven Baskauf. Copyright © 2018 CC-BY-NC-SA. www.cas.vanderbilt.edu. New England Wild Flower Society. gobotany.newenglandwild.org (Accessed 3/2018). Dioscorea villosa female flowers. commons.wikimedia.org (Accessed 3/2018). 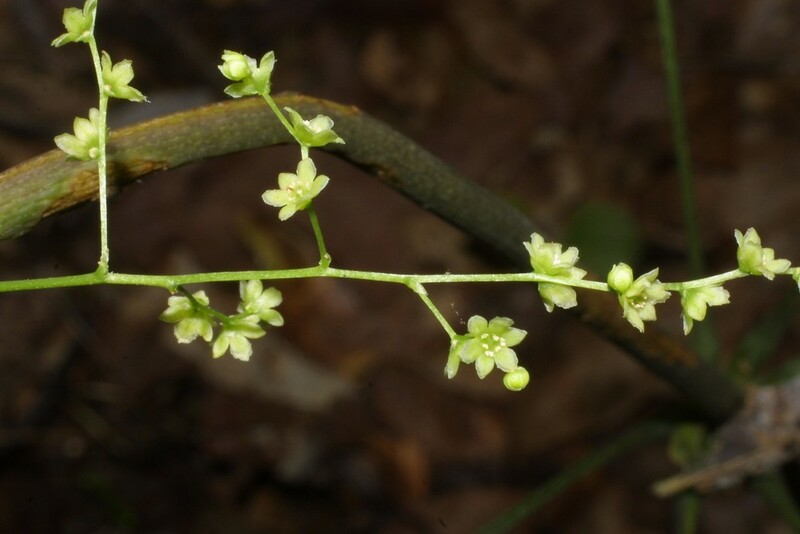 Flowers green, radially symmetrical, very small, petals and sepals the same, 3 each, male and female flowers on separate plants; male inflorescence branched, 1-4 flowers at each node, female inflorescence a spike 5-10 cm long, flowers solitary at nodes of spike; blooming June-July. 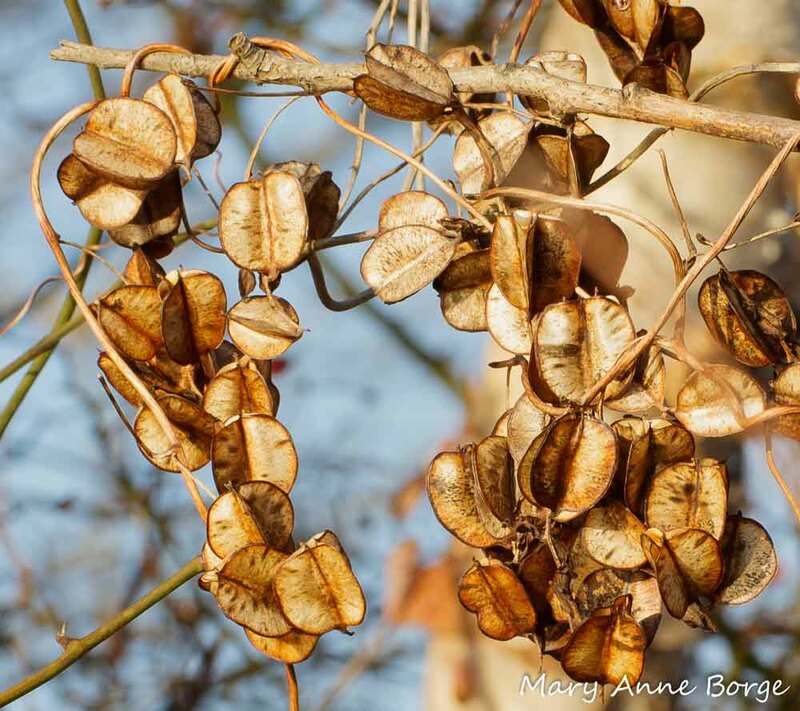 Fruit dry, papery, 1.6-2.6 cm, 3-winged, tan, persistent into winter; seeds winged. 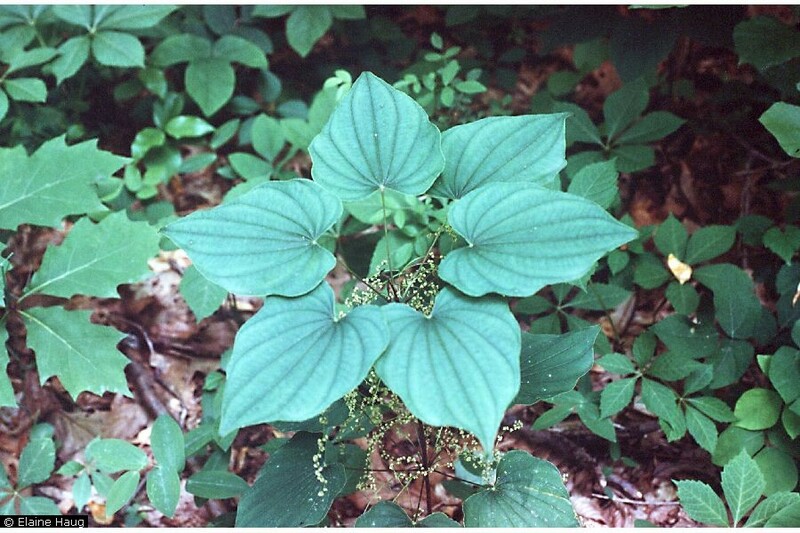 Habitat: Understory of moist or swamp forests, and edges, twining in low vegetation.